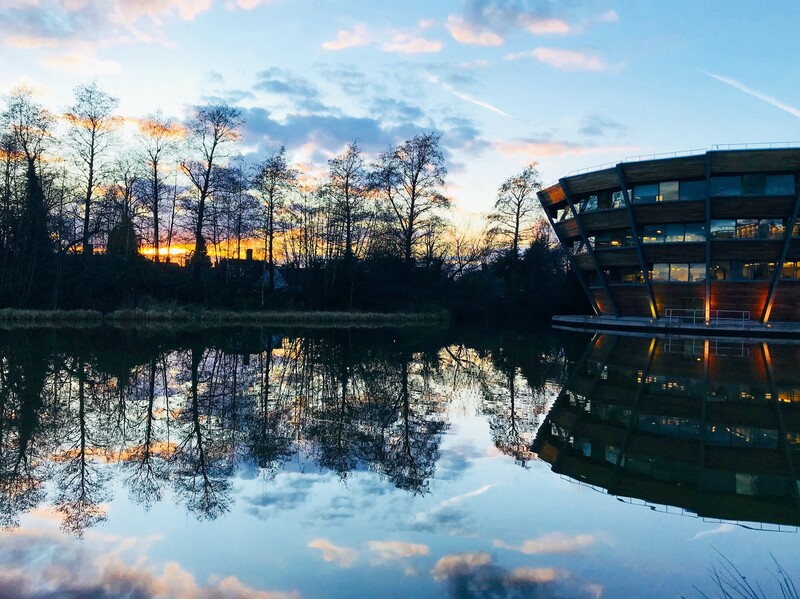 Djanogly LRC on Jubilee Campus will join Hallward and George Green Libraries in opening 24/7 on 26 November. All three libraries will remain 24/7 until the end of term on 14 December. Could you consider using the library earlier in the morning, later in the evening or at weekends? With 3 libraries now open 24/7 there is quite a lot of time when we are quiet and have more study space available. Try a different library – we’ve got 8 libraries that are spread over all campuses, not all of them are busy at the same times due to different teaching schedules. If you are working in a group, why not book a study room in advance? Most of our libraries have them and you may book via NUsearch room bookings. You can book for a maximum of 6 hours at a time. E-resources are available anytime, anywhere, so you can access them from in your bedroom to a table in Mooch. You might want to make sure that the Wifi is good though because, well you know – buffering!! 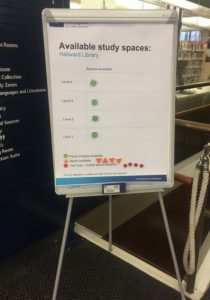 In most of our libraries we have a board on the ground floor that shows throughout the day how busy study areas are – using a red, amber, green rating. Hallward’s shown in the picture is at the bottom of the main staircase. Have a hometime plan, can you walk or travel with friends? You can find out about the University bus services here. For the full details of all 24/7 library opening for 2018-19, please read this blog.